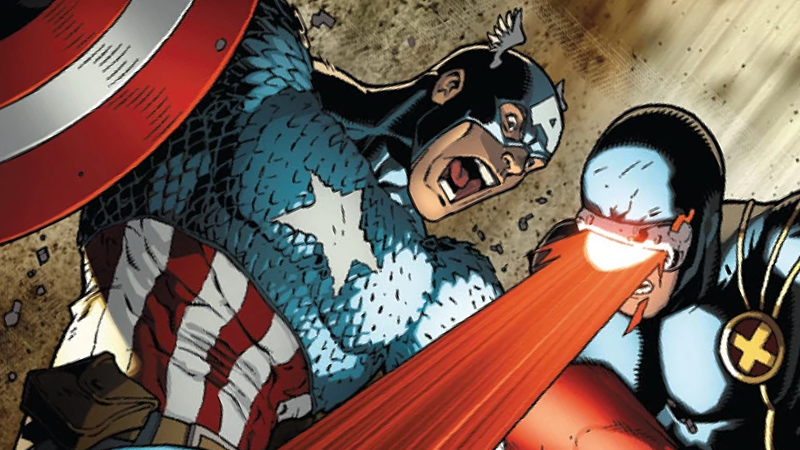 Captain America and Cyclops battling in Avengers vs. X-Men #1. Much in the same way that the Avengers and co. fought valiantly to stop Thanos from collecting all six Infinity Stones, Comcast has been desperately trying to block Disney’s substantial bid to acquire 21st Century Fox and all of that sweet comic book IP the studio’s been sitting on. Today, though, that valiant fight has come to an end. CNN is reporting that Comcast is bowing out of acquisition talks with Fox after previously bidding $65 billion. In a public statement, Comcast CEO Brian Roberts congratulated Disney’s Bob Iger on the win At this point, there’s no one else in the game making a play for Fox, meaning that pretty soon, Marvel studios will finally have the cinematic rights to the X-Men and the Fantastic Four once again.